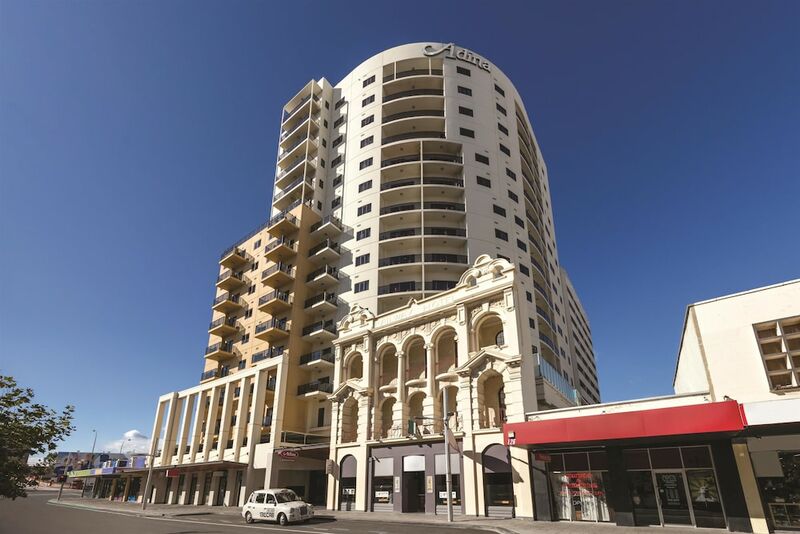 You'll be centrally located in Perth with a stay at Adina Apartment Hotel Perth - Barrack Plaza, you'll be 5 minutes by foot from Perth Cultural Centre. This 4.5-star aparthotel is 0.2 mi (0.3 km) from Hay Street Mall and 0.4 mi (0.6 km) from Royal Perth Hospital. Make yourself at home in one of the 100 air-conditioned rooms featuring refrigerators and microwaves. Rooms have private balconies. Complimentary wireless Internet access keeps you connected, and satellite programming is available for your entertainment. Private bathrooms with shower/tub combinations feature complimentary toiletries and hair dryers. Be sure to enjoy recreational amenities, including an outdoor pool, a sauna, and a 24-hour fitness center. This aparthotel also features complimentary wireless Internet access and concierge services. Grab a bite to eat at Bar 138, a restaurant which features a bar, or stay in and take advantage of the room service (during limited hours). Cooked-to-order breakfasts are available daily from 7 AM to 11 AM for a fee. In addition to an outdoor pool, Adina Apartment Hotel Perth - Barrack Plaza provides a sauna and a 24-hour fitness center. Dining options at the aparthotel include a restaurant and a coffee shop/café. A bar/lounge is on site where guests can unwind with a drink. Wireless Internet access is complimentary. This luxury aparthotel also offers multilingual staff, concierge services, and complimentary newspapers in the lobby. Limited onsite parking is available on a first-come, first-served basis (surcharge). Adina Apartment Hotel Perth - Barrack Plaza is a smoke-free property. Bar 138 - This restaurant serves breakfast, lunch, and dinner. Guests can enjoy drinks at the bar. Happy hour is offered. Open select days. Recreational amenities at the aparthotel include an outdoor pool, a sauna, and a 24-hour fitness center. The property has connecting/adjoining rooms, which are subject to availability and can be requested by contacting the property using the number on the booking confirmation. Free in-room WiFi has a 2-device limit. Parking height restrictions apply.